Hello Dear, we are here with RRB Kolkata Group D Admit Card 2018 | Exam Date | Answer Key | Result | rrbkolkata.gov.in as you know more than 1.3 crore registrations have been recorded for various positions in the RRBs or Railway Recruitment Board. According to the official information available, 2367 Vacancies are available at the RRB Kolkata. The RRB Railway Examination for group D 2018 will have 3 stages. In stage 1 Computer Based Test, Stage 2 is Physical Eligibility Test and third and final stage of the recruitment process i.e document verification. Check the below examination dates for RRB Group D examination 2018. Get Admit Card: The RRB Kolkata Group D Admit Card 2018 will be available on the official website of RRB Kolkata rrbkolkata.gov.in. Railway Recruitment Board Kolkata covers a large area as Eastern Railways extend to West Bengal and Bangladesh border providing jobs to a large number of youths in the region. Through this recruitment, RRB Kolkata will complete recruitment of 2367 Level I Posts. Reservation among various categories of applicants is given in the table. How to Download the RRB Kolkata Group D Admit Card 2018 | RRB Kolkata Group D Admit Card 2018. RRB Kolkata Group D Admit Card 2018 for scribe will be available after publishing of admit card for all candidates. The candidates from SC and ST categories will be able to travel for free to the examination centers and back home. 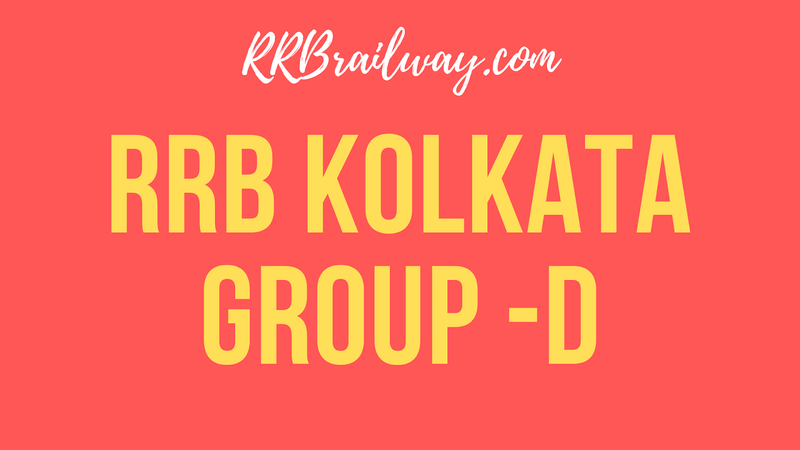 The RRB Kolkata Group D Admit Card 2018 will issue this on the admit card. Candidates can avail this by booking ticket from IRCTC. The Admit card have the following information printed on the RRB Group D Admit Card. Downloaded RRB Railway 2018 Admit Card. One color photograph same as you uploaded on the application form. Identification proof valid photo identity proof. viz. Voter Card/ Aadhaar Card/ Printout of e-Aadhaar,/ Driving License /PAN card/ Passport / Identity Card issued by the employer (in case the candidate is a Government Employee, School / College / University Photo ID card etc.